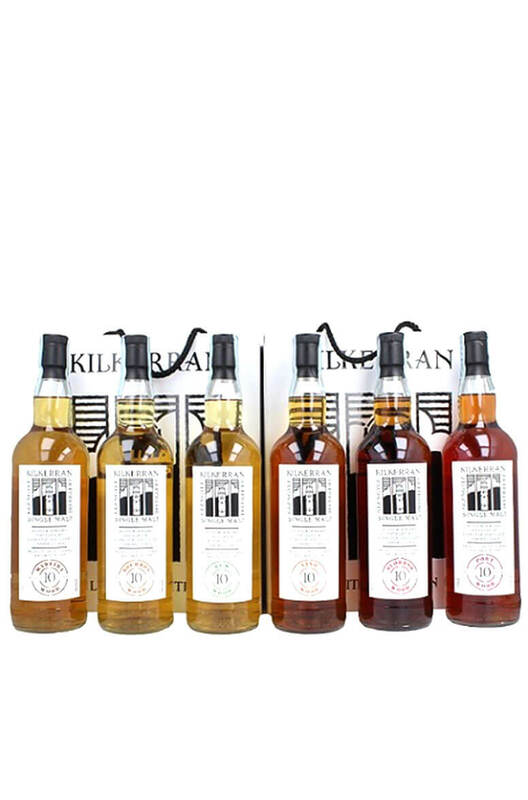 A rare set of whiskies that was compiled from the first six barrels filled at the Glen Gyle distillery in Campbeltown. Each barrel is different and the set includes single malts matured in bourbon wood, oloroso sherry, fino sherry, port, rum and madeira casks. This is the first batch of Kilkerran ' Heavily Peated' Single Malt from the Glengyle Distill..